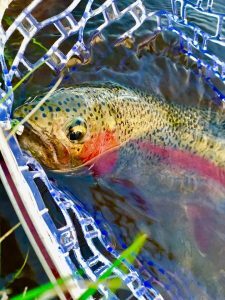 The Upper Colorado River Watershed Group is excited to announce our first partnership project with the newly-formed Kawuneeche Group, which focuses on a sub-watershed within the UCRWG target area. 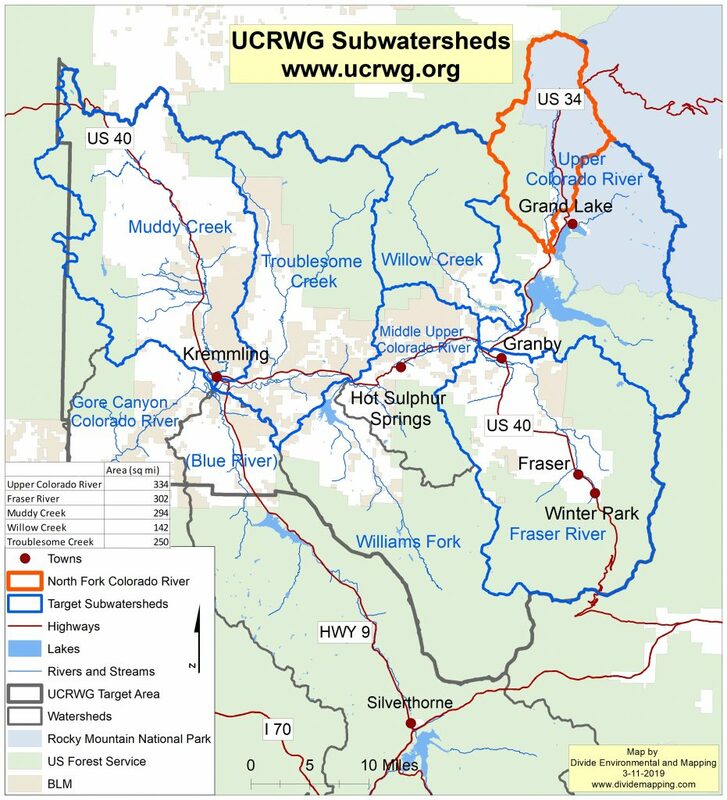 The Kawuneeche Group promotes watershed awareness and conservation in the North Fork of the Colorado River (NFCR), including the Kawuneeche Valley in Rocky Mountain National Park, and identified its area of focus with our 2018 Watershed Resiliency Plan (see map left). 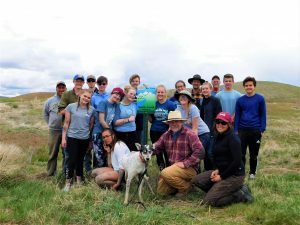 The Kawuneeche Group will focus on implementing local restoration projects based in scientific research and technological findings while conducting community outreach, engagement, and education efforts. Develop a holistic watershed model that incorporates hydrology, ecology, geochemistry, industry/agency guidance, and community values. Promote broad community participation in baseline monitoring, decision‐making, watershed action, and cultural appreciation. Help stakeholders protect, restore, and enhance the local watershed as opportunities consistent with the UCRWG Watershed Resiliency Plan arise. UCRWG will serve as the fiscal sponsor for the Kawuneeche Group and is already collaborating with the organization on several grant applications for local restoration projects and community engagement events. We’re thrilled to be working with the Kawuneeche Group at the beachhead of the Upper Colorado River Watershed and look forward to all that we can accomplish together in the future. For more information please visit: www.kawuneechegroup.com.